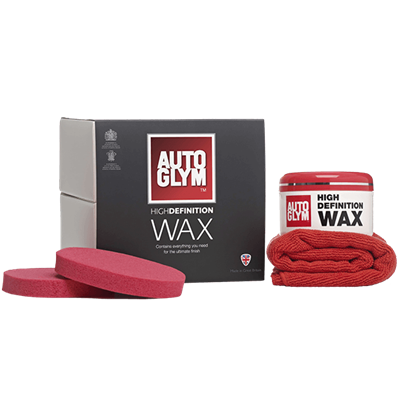 Autoglym's Rapid Aqua Wax is specially formulated to impart a brilliant smear-free finish on ALL exterior surfaces, even when the vehicle is wet. The immediate benefit is that there is no need to dry the car between washing and polishing. 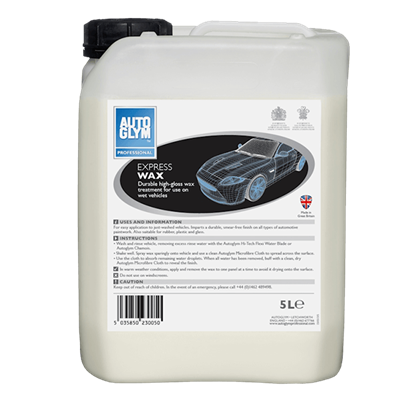 Autoglym Aqua Wax is suitable for all paint types including metallics, as well as rubber, plastic and glass. 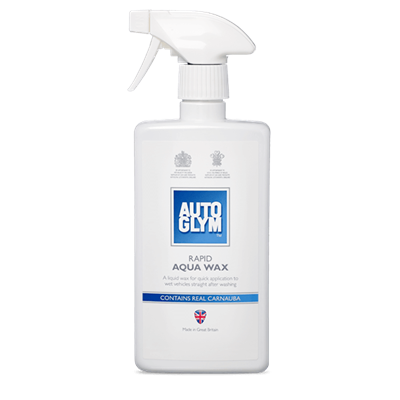 Autoglym Aqua Wax is extremely easy to use - simply wash the vehicle, remove excess water, spray the Aqua Wax sparingly on all external surfaces(avoid use on windscreen). Spread it evenly over the applied surfaces with one of the microfibre cloths included in the pack, whilst also removing the remaining water. Finally, use the second microfibre cloth to buff the finish to a high shine.